If you're considering a move to Forest, VA, you're about to move to one of the most sought-after communities in the state! Forest is a rural suburb of Lynchburg, Virginia, containing many subdivided properties carved from and around surrounding farms and woodlands. The Ivy Hill community is the largest development and is built around the Ivy Hill Golf Course. The town has been experiencing rapid growth and development over the past 10 years, which is expected to continue into the near future. The recent construction of shopping centers along Forest Road evidence this recent growth. 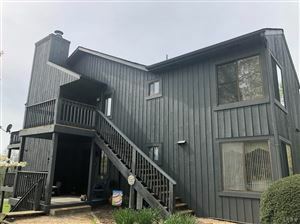 Homes for sale in Forest are some of the most popular ones in the Lynchburg region. Many homes in Forest offer breathtaking mountain views and easy access to shopping and city services. Forest has no real town center since the original one was torn down without a trace, but the area along U.S. Route 221 from the post office to the Forest Library is generally regarded as the central part of the community; however, technically the town extends all the way along Rt. 221 from the middle school to Graves Mill Shopping Center. The nearest urban center is downtown Lynchburg, approximately 10 miles (16 km) northeast of town. 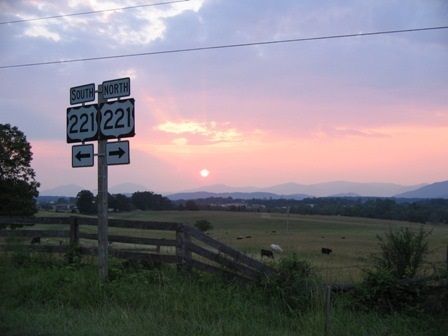 Forest is accessed via Route 221 and U.S. Route 460. The nearest rail line is Amtrak's Crescent train at the station in Lynchburg. The nearest major airport is Lynchburg Regional Airport offering commercial service through US Airways Express to Charlotte, North Carolina. Private charter flights are available through Virginia Aviation. There is also a public general aviation (GA) airport, New London Airport, which is open for all GA pilots. Some of the most popular neighborhoods in Forest include Forest Park, Ivy Woods, Shadetree, Summerfield, Ivy Woods, Forest Edge, London Forest, Farmington, Oak Ridge, Ivy Hill, Casaloma, Peters Estates, Kensington, The Meadows, Stonewall, Great Oaks, Haines Point, Autumn Run, Hooper Woods, Otterview Estates, Forest Lakes, Lake Vista, Somerset Meadows, Meadow Wood, Ivy Trace, Ashleigh Terrace, Walkers Crossing, The Fields, Gilfield Village, Lakepointe, Ivy Creek, Serene Creek, Cedarberry, Mt. Haven, Nottingham Forest, Poplar Forest and Forest Oaks.